In general, chemical damage of the hair can result from the misuse of chemical treatments, such as relaxers and certain color dyes. Relaxers are designed to straighten the hair by breaking and rearranging bonds in the hair shaft. 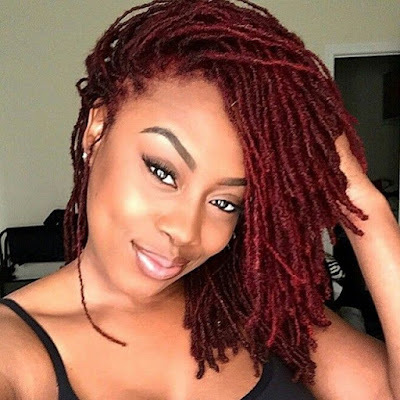 Misuse of relaxers involves overprocessing (leaving the chemical on the hair for too long), overlapping (applying the chemical to previously relaxed sections), inadequate neutralization of the relaxer, etc. Chemical color treatments -- particularly permanent ones -- lift the cuticle and interact with the cortex of the hair to alter the natural pigment. Misuse of color treatments involves overprocessing and other improper application procedures. Chemical damage leaves the hair severely weakened and irreparable. The damaged part must grow out or be cut. *Rinses: Rinses are temporary dyes that deposit color onto your hair. They are ideal for those wanting to deepen, rather than lighten, their natural color. The color disappears after a few washes. *Semi- and Demi -permanent: Semi-permanent colors contain no ammonia and last for a few washes. Demi-permanent colors also contain no ammonia and but slightly lift the cuticle to deposit color. Thus, they last much longer than semi-permanents. The potential for chemical damage with these options is less than with a permanent color. *Stay/go natural: Avoidance of relaxers is the only guaranteed method of preventing relaxer damage. Rollersets or flat ironing the natural hair on a safe heat setting are ways to achieve a temporary straight look. *Texlaxing/texturizing: This process involves relaxing the hair just enough to loosen the natural curl pattern. The chemical is left on the hair for a shorter period of time than specified so that the hair is not relaxed to full straightness. Thus, this method minimizes the possibility of relaxer damage. *Jojoba oil, wax, & relaxers: According to one study, most conditioning agents in relaxer kits break down and have no effect by the time the consumer uses them. This finding implies that using some level of added conditioning while relaxing may minimize damage. What is the best conditioner? According to a second study, jojoba oil is amongst the best at protecting the hair while relaxing (with thioglycolate-based relaxers). Polymethylene wax (in conjunction with other substances) is beneficial for the traditional NaOH- and LiOH-based relaxers. *Don't Overlap or Overprocess: Follow the instructions. Ultimately, the best way to prevent chemical damage is to avoid chemical treatments altogether. I've only presented a few options so if you do your research you may find more. If you can't avoid chemicals, then merely practice the proper use of them. Follow the application instructions to the tee or seek a professional. It is possible to have healthy colored, straightened hair with or without the use of chemical treatments. The other day I was flipping through a magazine, and I saw an ad for a kit that colors and relaxes the hair at the same time. In this article you said not to overlap chemical processes (I agree btw) so what do you think of this?